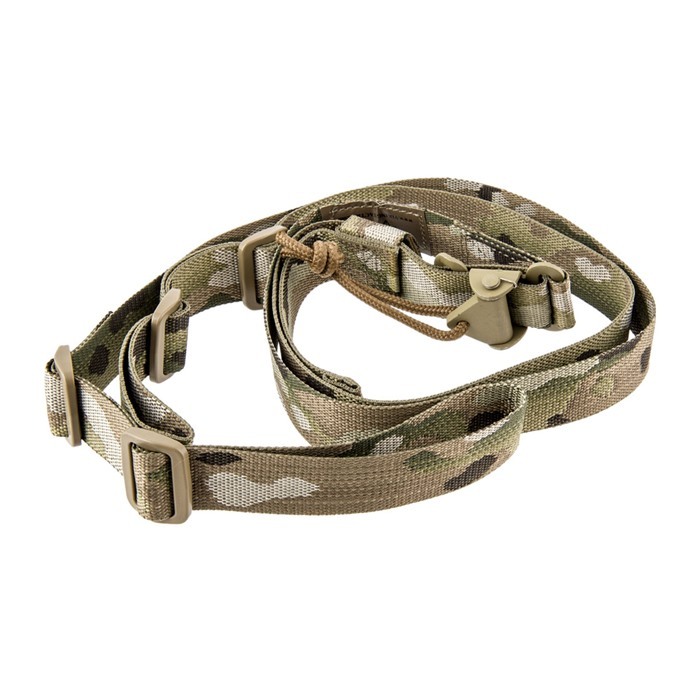 The VTAC Sling is instantly adjustable, allowing you to adjust shooting positions with ease. You can easily move from strong side shoulder to weak side shoulder or secure your carbine during handgun transition. 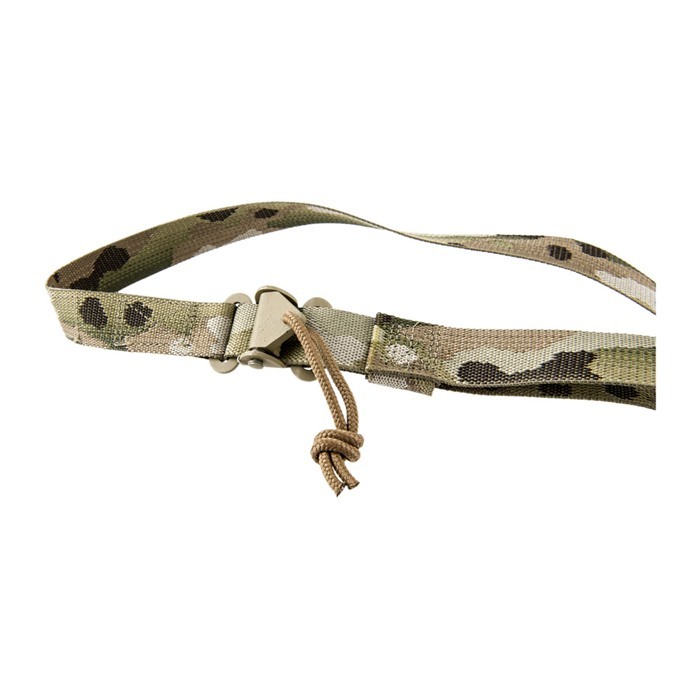 Unlike other slings on the market, the Viking Tactics Sling isn’t just a carrying strap. Its full range of adjustability will enhance retention for when you need your hands free. 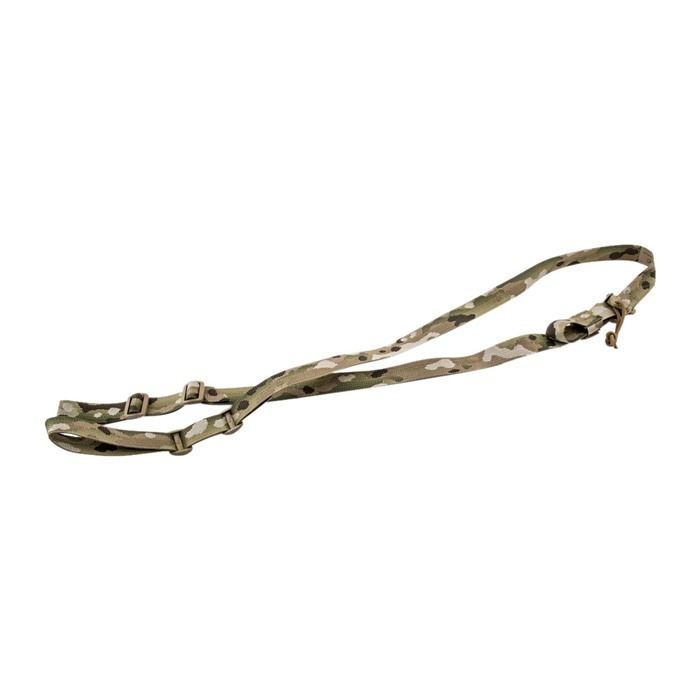 It is also one of the only tactical slings that can be used as an adjustable shooting sling. SPECS: Nylon web, Black, Coyote, O.D. Green, or Foliage Green. 1" (2.5cm) wide. Оружейный ремень Viking Tactics Sling Original с уникальной системой настройки, стал любимым аксессуаром в сообществе специальных подразделений правопорядка. Изначально разрабатывающийся для систем AR-15 и подобных, ремень VTAC обеспечивает быструю, надежную и простую настройку почти на любом оружии. При разработке ремня Viking Tactics учитывалась максимальная универсальность и адаптация под условия и стрелка. VTAC мгновенно настраивается под нужную длину, тип переноски или стрельбы с необычайной легкостью. Смещение используемой стороны на вспомогательную за пару секунд. В отличие от схожих ремней на рынке, Viking Tactics Sling не только петля для ношения оружия. Возможность полной настройки позволит регулировать положение винтовки и даже освобождать руки при необходимости. С помощью этого тактического ремня можно использовать специальные стрелковые техники. Для обеспечения максимальной универсальности оружейный ремень VTAC можно крепить разными способами, подходящие под ситуацию. Характеристики: web нейлон, черный, Койот, O.D. зеленый или Зеленая листва. 1"(2.5 cm) широкий. This sling can be adjusted snugly even for my short 5'6" frame. I carry my coyote gun with optics and night light mounted barrel down on my back. It keeps my barrel way off the ground and it allows me to carry all my other gear with both hands. I didn't think the padded version would adjust short enough for me so I went with this one. I'll try the padded version when I finish building my other gun with a 20" bull barrel and heavier optics. I have VT slings on all of my personal rifles but most important I have one on my SWAT rifle. Having used various types of slings throughout my career, the two point adjustable sling is the most versatile for the tactical shooter. 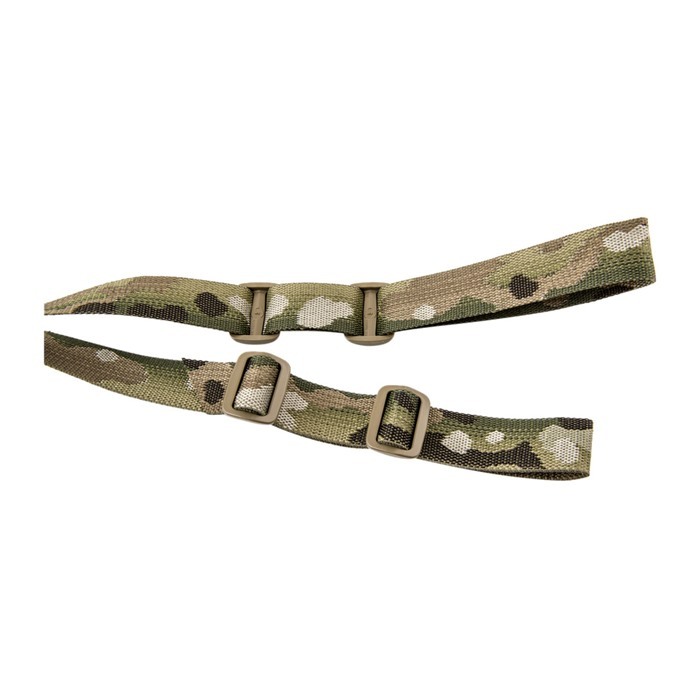 The sling allows freedom of movement, switching shoulders, or shooting prone with the sling extended, yet also can be cinched down for supported shooting positions or when the weapon needs to be slung close to the body. The VTAC offers the most range of adjustment of any I have tried. The padded version is comfortable and easy to use. Great sling-have used single point,3point and 'most every variation. This is the best I have found-use it on both my Patrol rifles as well as a padded model on my SuperMag turkey gun! A fine example of a quality two point sling. Very adjustable, well made, and high quality materials. Simple to use. Great value. Have one on my duty shotgun and one on my duty AR. I use this product on my AR. The V-TAC sling is a great product that transitions easily from either a front or back slung position to the shooting stance. I ride an ATV 75% of the time on ranch proerty and have found this sling to provide a snug front carry for my AR when cinched down and yet am able to shoulder and fire quickly when needed with no binding or snagging. I use this product on my shotgun during 3 gun matches. I bought it because I have another that use on my AR.